Azzedine Kbir Bounekoub, an inhabitant of Antwerp who went to Syria to join the fight, called on young Muslims via Facebook to follow the example of the man who carried out the shootings at the Jewish Museum in Belgium and engage in more attacks, Gazet van Antwerpen and Het Belang van Limburg reported on Thursday. “May Allah drive more young people to follow the example of the man who committed the attack against the Jewish Museum. 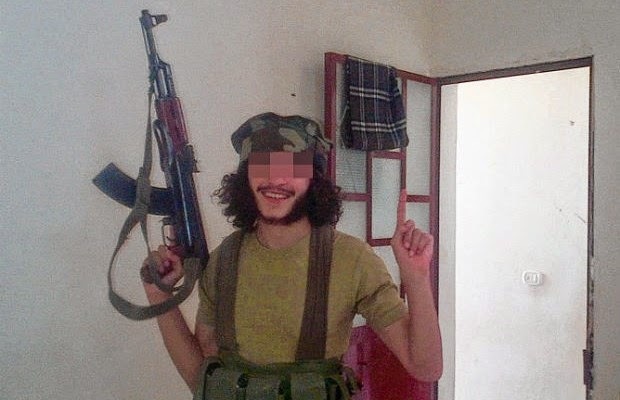 Martyrdom is not only an issue in Syria, but also in Belgium. Become a thorn in the eye of the enemies of Islam”, he said in his message. This appeal has turned into a matter of concern for Justice, since Bounekoub is a notorious member of Sharia4Belgium, and he is also among the extremists under surveillance in the framework of the terrorist dossier regarding Sharia4Belgium. He is still in Syria.